In August of 2015 Nashville, Tennessee finally got an outdoor venue to replace the beloved Starwood when the $52 million dollar Ascend Amphitheater opened on the banks of the Cumberland River just off of 1st Avenue. Styx had played at the Starwood many times during the venue’s tenure as the musical destination in Antioch just outside of the City. 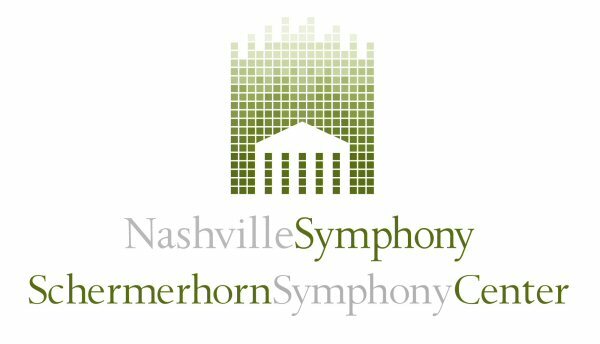 On May 21, 2016 Styx invited the prestigious Nashville Symphony to join them at their performance. Together they both made their maiden voyages at the new digs in the Downtown. 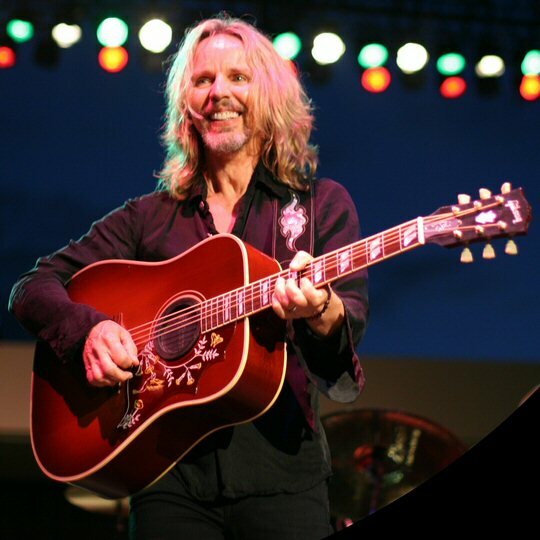 Tommy Shaw – a relatively new Nashvillian – onstage in Music City. Conducting the band was Liza Grossman who was reprising her role that began with a 2006 performance with the Cleveland Youth Orchestra. At the time, several Styx members enthused over their first experience with full symphonic accompaniment and they voiced how working with the young musicians had re-energized them as a group. Sure enough, the renewed spirit has propelled them through the ensuing decade as they have remained one of the hardest working legacy acts seemingly always on the road and at the top of their game. For Tommy Shaw this was also a homecoming as he currently lives in the Nashville region. James J.Y. 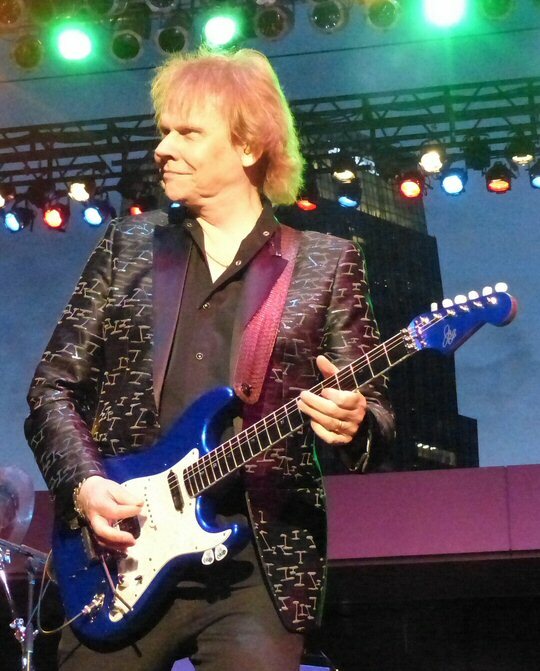 Young is the “godfather” of Styx. 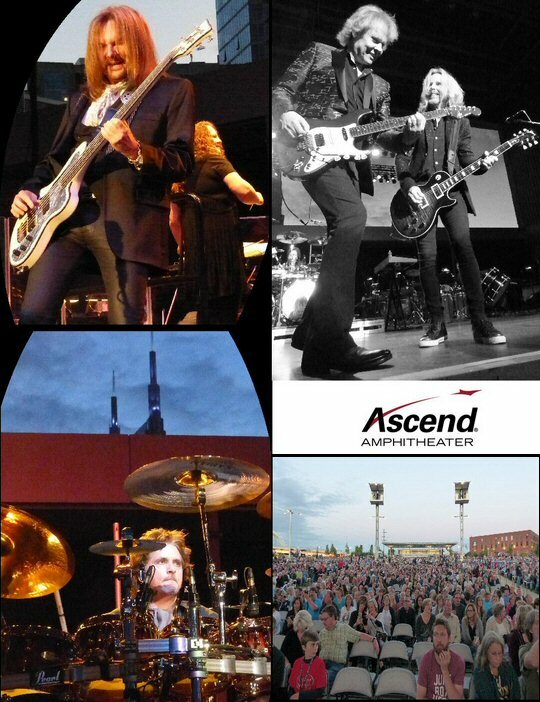 Both the lawn and seated areas at the Ascend were packed as the Nashville Symphony took their places on the stage filled with chairs and gear. Liza strolled out first to lead the orchestra through an intro that transitioned into “The Grand Illusion” as Styx made their grand entrance. The song rocked on soaring guitars with strings punctuating the points of the song. Encouraged by the band fans clapped along to an engaging “Too Much Time on My Hands” as the Symphony added accents to this timeless tune. “Fooling Yourself (The Angry Young Man)” was another crowd pleasing classic enhanced by the elements that the orchestra contributed. “Lady” sailing into “Lorelei” allowed keyboardist Lawrence Gowan to shine on piano and vocals. At times his keyboards were spinning around adding to the elation of his presentation. Mentioning the 1970’s and bic lighters the band asked the audience to hold up their phones for “Light Up” that was another tune well-coordinated with the orchestra. In honor of the recently departed George Martin Styx put their own cool spin on “I Am The Walrus”. 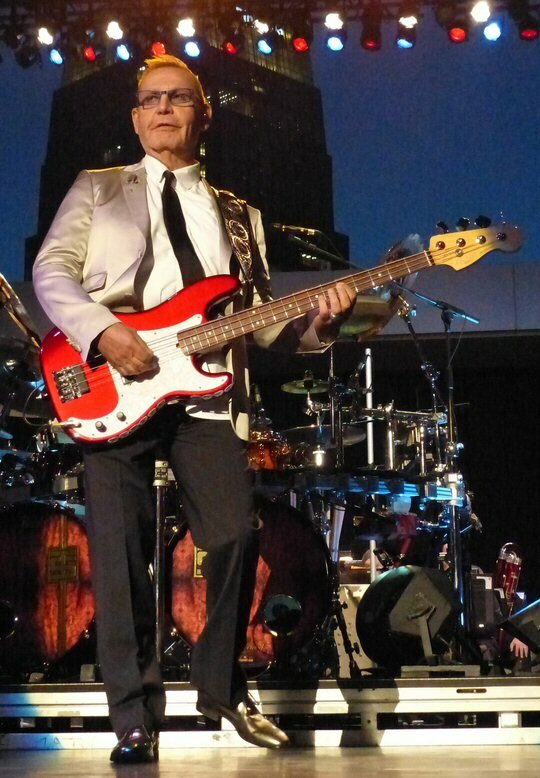 Styx stated that Sir Martin was one of the best producers at blending classical and rock instruments, The Beatle tune was another composition perfect for an orchestra. Styx finished their first set with a bold “Suite Madame Blue”. Styx founding member Chuck Panozzo takes the stage in Nashville. Styx performed a number of tracks from The Grand Illusion as the progressive-pop songs from that classic album were well-suited for an orchestra. The enhanced interpretations were invigorated with strings adding layers to the originals. It appeared that the band enjoyed the challenge of working with a large group of world class musicians. Set two opened with an animated “Miss America”. Styx also paid tribute to David Bowie with “Space Oddity” flowing into their own magical “Crystal Ball”. A potent piano solo set up “Pieces of Eight”. At this point dynamic versions of the singles came in a flood with a beguiling “Blue Collar Man (Long Nights)”, a catchy “Come Sail Away”, “Rockin’ the Paradise” and a rousing “Renegade” as part of the encore. Ricky Phillips, J.Y. and Tommy, drummer Todd Sucherman and fans at the Ascend. 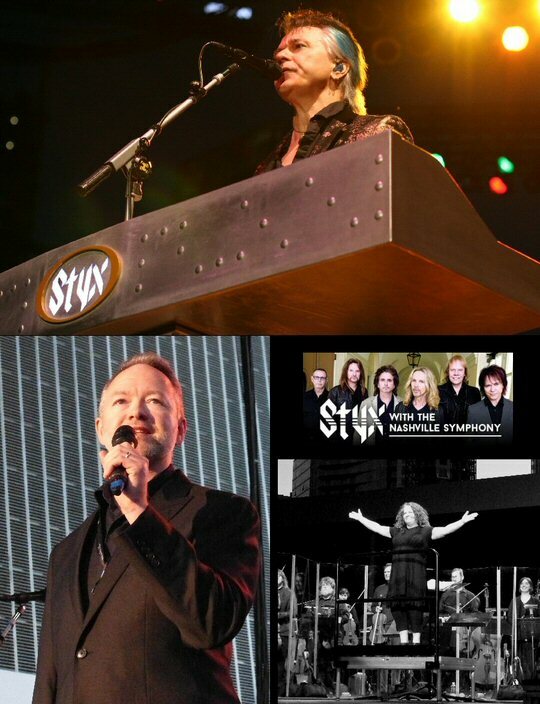 Styx continues to ride a wave of popularity because they are a passionate and professional band with a boat load of great songs. Styx are a well manned vessel with a polished stage presence. Yes, they may have played their hits hundreds of times, yet each night they manage to keep it fresh with coordinated moves and all. To earn a seat in a respected city orchestra one has to be the best at their instrument thus it was exciting to see the two renowned musical vehicles converge at the Cumberland River for a memorable night under the moon. Lawrence Gowan, Liza Grossman and Nashville Symphony COO Steven Brosvik.